Hi everyone and thank you for visiting. There were so many lovely comments for my last post and it seems to have hit a chord with many of you. Here's hoping we all learn to be kinder to ourselves. 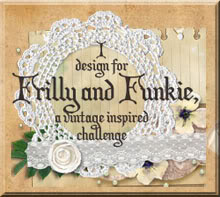 Now, it's time for the latest DT sample for Frilly and Funkie who are currently running a 'Birds and Nests' challenge. It's another shabby chic card with tons of krafty texture and oodles of yummy ingredients from The Funkie Junkie Boutique (listed below). I'm going to let the pictures do the majority of the talking today you'll be pleased to hear, so if there are any questions just leave a comment and I'll respond asap. A touch of colour injected by misting this embossed 'postcard' with red/blue/green inks. Make your own by adding a few drops of reinker to water in a small misting bottle. These can be picked up really cheaply in chemists at the moment as travel size toiletry items. I love how this crinoline looks as a background, especially when painted, stamped and stencilled with texture paste. Want to see how I added the paint? This is my own 'stamp' made from a sheet of burlap cloth (Linda is now selling white/natural versions which will do the same job). I stuck some to a piece of MDF and just pounce paint directly onto it - you can spritz it with water or your diluted inks and even add inks/stains directly too. Aren't these large wooden buttons fabulous! Ideal for layering/nesting vellum, burlap and beads - all of which readily accepted being covered in Distress Paint. The glass bead gel medium was spread randomly onto card which was then torn to shape when dry. The back of the card was Distress Stained and the front had some Picket Fence DP applied. I do love layering lots of textures and (woo hoo!) got a chance to play with my new Tattered Florals strip die which combines well with other floral dies. Before cutting the burlap I covered one side with a sheet of adhesive (my guess is the Xyron would be good for this if you have one). I find that embossing with a mixture of clear EP and Distress EP allows the layers to show through. Forgot to say, the crinoline loves being inked and thankfully doesn't 'bleed' either. Hope you like my interpretation of this theme. 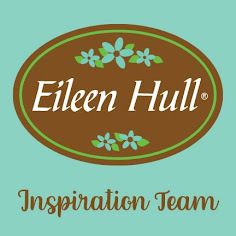 I would love to see your take - there's still a week left of the current challenge, so take a look at the inspirational projects from my teamies here and then get crafting! There is a shopping spree up for grabs for one lucky entrant too! Jumbo Wooden Buttons - 2 1/4"
Love that birds nest, Jenny. A very clever interpretation and a wonderful piece. Magnificent Jenny, the textures, the collage pieces and colours are superb. Stunning Jenny, just love all those different textures and how you have combined them together. The soft colour around the birds in combination with all those natural tones is brilliant too. Oh and thanks for that tip on the mister bottles!! Fantastic techniques and inspiration Jenny x love all those textured layers. An absolutely stunningly beautiful creation Jenny and the textures are just amazing! Sorry to be MIA lately too, just not enough hours in a day. A great interpretation of the theme and as always some really interesting textures and additions going on here. Morning Jenny, WOW, WOW, WOW, I love this project, the textures are absolutely stunning, the colours are stunning, and the embellies are stunning. WOW !! Another fabulous make - heaving with great techniques and ideas, and beautiful into the bargain! The delicately spritzed postcard is so pretty, and I love your layered button nest. Lovely mixed media on this bird card...lovely Jenny! How fabulous is this? I really love that crinoline background and how you inked it. So much fabulous texture here and I adore the beaded gel medium. I need to explore that! And I love how you used that giant wooden button too - very cool. The whole piece is absolutely exquisite! So much mixed media goodness! Love the birdie and nest card and the texture again is amazing! I need to get my thinking cap on! Hugs! Oh my, the burlap is AWESOME, Jenny! Love the funky nest and eggs. You are so clever! I've just added the BlogLovin feature so will follow you that way now and unsubscribe from the email alerts. See you in blogland! Oh Jenny...there are soooo many excellent things about this gorgeous card! I love the background, and the bird stamping on the kraft postcard is most excellent! The colors are awesome too! Love the lace and all the added goodies! Gorgeous design! 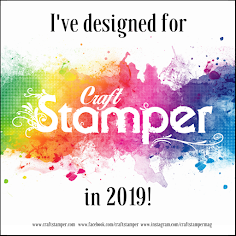 Thank you for krafting with us this week here at Simon Says Stamp & Show! absolutely love this so many gorgeous elements but the nest is pure genius !